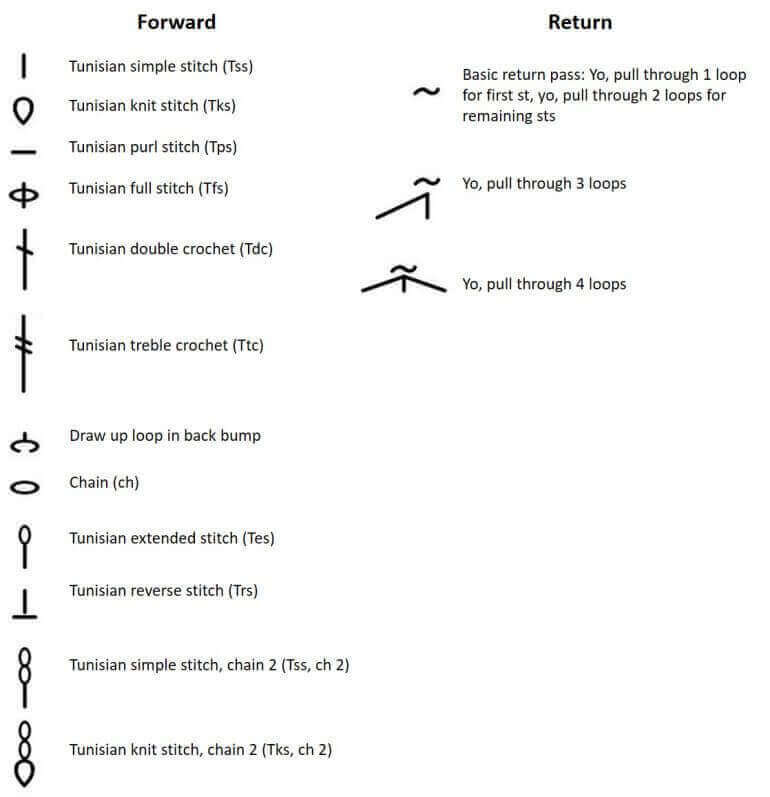 The chart below references many of the most commonly used Tunisian crochet abbreviations and symbols. The abbreviations are used in written patterns, while the symbols are used as a part of a stitch diagram. It’s helpful to keep this chart on hand to reference when you come across an abbreviation or symbol in a pattern that you aren’t familiar with. Find your next Tunisian crochet patterns here.